There was also a hypothesis that foul play was at hand. Reeve may have been murdered. He had a strange or sad ending, but don't recall the details at the moment. Mr.Pillsbury..The actor..who played"Clark Kent"/"Superman"in the later feature films..his last name was Reeve..not Reeves. 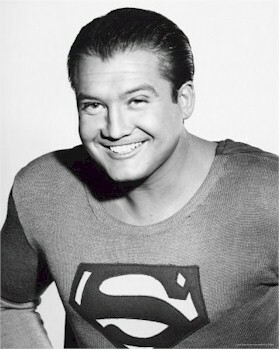 George Reeves was a good actor when he did play Superman in the 1950's. I did used to copy him by having my baby blanket pinned around my neck. (The blanket was a light blue.) Guess that goes to show that he was my hero back then. When Christopher Reeves (no relationship to George),I was too old to be doing what I did when George was on the screen.